Remember when you First started to Blog…. And you didn’t have a lot friends (followers), BUT You REALLYYY Wanted to have some friends…. And every time your number would go up by ONE, you would get really REALLY excited and in turn you ended up doing a Happy Wiggle Dance in your chair saying, YaY! Well, here’s a chance for you to make Two very lovely ladies, extremely grateful! 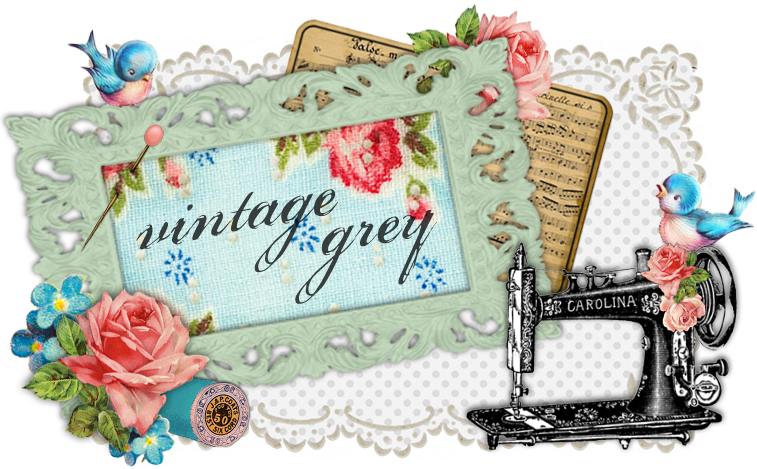 Meet Heather from Vintage Grey and Monica from My Seasons with Him. They Both have a Love for all things Pretty and Vintage! It was SUCH a delight to work with them both, by creating a Custom Look for their blogs. They were total dream customers :) Thank You Ladies! Wishing you all a Blessed Weekend! Speaking from experience, any blogger, new or old, would be VERY LUCKY to work with you. You have always done the most fabulous work and are a joy to work with! I’m so glad I met you and consider myself blessed to have you in my life! I owe you so, so much. Thank you for everything my sweet, sweet friend! I am in need of a blog make-over! These designs are simply adorable! Oh what great blogs! Thanks for sharing, I’ve followed them both. Makes me want to sew though and I can’t right now, lol. Gorgeous designs Keren! It’s definitely clear that you put your heart into your work.